We found out this time last week that Eugene Melnyk, after some 10 months, is still on the hunt to prove that Matt Cooke purposely attacked Erik Karlsson with his skate. While it seemed pretty clear it was an accident to the other 99% of the population, Melnyk has remained vigilant and reported his findings to the NHL last Monday. While I was not granted access to the meeting, I have a pretty good idea of how the events played out. The day was February 13, 2013. The Senators arrived in Pittsburgh the night before, and it seemed like it would be just another game day. When everyone gets too comfortable, however, that is when criminal minds will play. While the rest of the team worked out at the morning skate, Matt Cooke met with Dana Heinze and Craig Adams. From then on, the plan was set! After the meeting, Dana Heinze knew he would be a busy man. He rushed to the locker room area to make "some adjustments" to Matt Cooke's uniform. 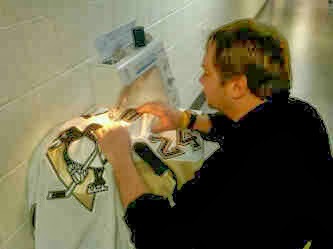 The photo on the left (Exhibit A) shows Dana Heinze sewing an alternate captain insignia onto Cooke's jersey. While at the time this event seemed relatively harmless, CSI: Melnyk uncovered the real truth in the past ten months. This was actually a GPS tracker for Erik Karlsson's Achilles tendon. At any given moment, Matt Cooke would know where to target Mr. Karlsson. Feeling that he has begun to captivate the room, Melnyk states, "this is only the tip of the iceberg in our investigation, Mr. Bettman!" 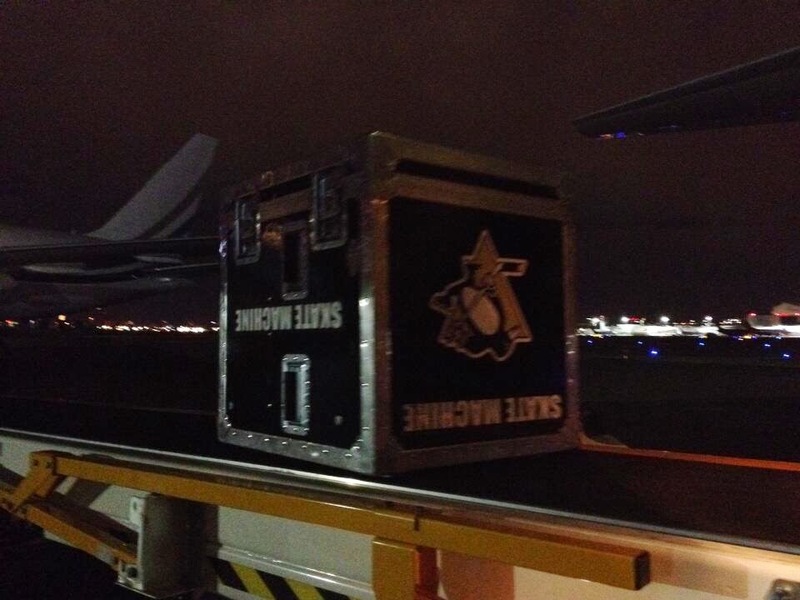 Is it a coincidence the Penguins flew in this "skate machine", or "death machine" as some call it, prior to the game? I think not! It is pretty clear Matt Cooke, Dana Heinze, and the Penguins organization flew this machine into Pittsburgh for the sole purpose of making Matt Cooke's skate a vicious weapon. There are two things that are absolutely glaring from this video. First, in super slow motion (TM of CSI:Melnyk), you can hear Cooke yell to Adams, "Now!" Immediately after that, Craig Adams, one of the league's best shooters, shoots the puck wide left so Karlsson HAS to retrieve it. This is when all of the pieces come together. Cooke's "A" lights up and locks on to its target. 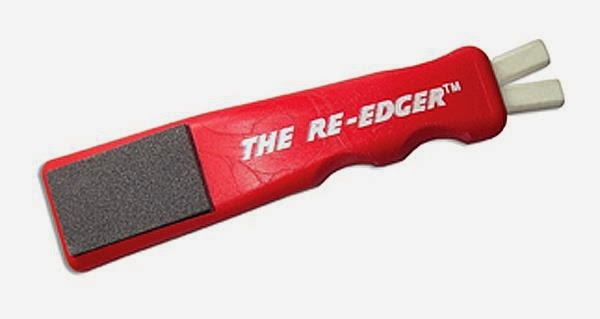 The sharpened skate blade from the "skate machine" takes aim, and as Cooke checks Karlsson into the boards, he brings his leg up and down on the back of Karlsson's Achilles tendon. After such overwhelming evidence, Mr. Bettman, it seems crystal clear what Cooke's intentions really were. He set out to end Erik Karlsson's season and possibly career by concocting this vicious plan. 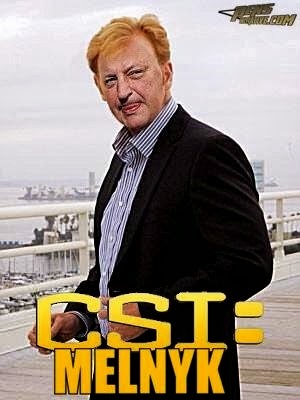 It is a story that never would have been told if not for CSI: Melnyk! While I was obviously poking fun at the situation in the above article, the truth is that it is very sad Eugene Melnyk has spent this much time, money, and effort on such a useless cause. It is clear Matt Cooke did not do this on purpose and to think he did is a mixture of ignorance and arrogance. If Melnyk spent half the time investigating Cooke as he did on his own team, maybe they would not be searching for their first Stanley Cup.